911EAS is a simple and accurate way to ensure proper notification and successful evacuations from specific areas or buildings before a disaster hits. 911EAS is a simple and fast way to ensure targeted notification and successful evacuations when disaster hits, saving money, personnel and ultimately and most important - lives. You’re considering activating an alert. But today’s alerts are broad in scope and ignored by most. Imagine a system that allows you to alert only those that need to know. When disaster is imminent, 911 Emergency Alert System (911EAS) helps municipalities, businesses and schools focus their emergency alerts, providing necessary notification and/or evacuation alerts only to the people who really need it – those in the affected areas. So precise, the alert can be scaled down to a portion of a building or expanded to a segment of the city or county. A disorganized or botched evacuation can result in confusion and needless injuries. When disaster strikes, 911EAS can help keep notifications and evacuations targeted, orderly and safe, saving money and avoiding casualties. Think of 911EAS as a reverse 911 phone call, but with the visual element of a map, so there's no confusion which areas to evacuate and which to avoid. Only 911EAS allows you to target specific buildings or geographical areas. For municipalities, businesses and schools, 911EAS gives security and safety personnel an easy, centralized alert system, paving the way for efficient, orderly and safe notifications and evacuations. 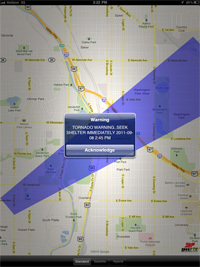 For the public, alerts are received on SmartPhones and mobile GPS devices, with a visual, audible and vibratory alert. It’s all about knowing, and knowing saves saves lives. 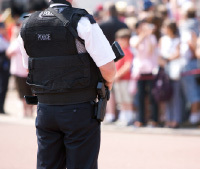 Your city, office complexes and school campuses will be safer with 911EAS. 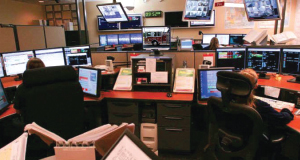 911EAS was designed by public safety experts who recognized the gap between effective emergency notification systems and existing technologies. It is a software solution that is designed to be easily and effectively implemented by local dispatchers and Emergency Operations Center (EOC) personnel. A variety of alert mechanisms, including visual, audible and vibrate options, ensuring the deaf and people with hearing loss receive alerts. 911EAS is about saving lives. A recent study by the U.S. Nuclear Regulatory Commission (NRC) evaluated large-scale evacuations of 1,000 people or more and uncovered important information about how we keep our communities safe. On average nationwide, an evacuation of 1,000 people or more happens every three weeks. Community familiarity with emergency alert procedures and door-to-door notification of impacted areas was very important to an effective evacuation. A high level of coordination among agencies, an effective command structure, training, and evacuation exercises contribute to efficient and safe evacuations.